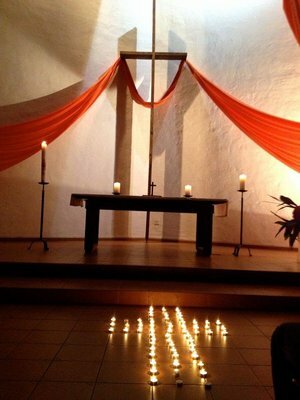 Thomaskirche Northrand is a German Lutheran church based in Bryanston, Johannesburg. The church has a very active community and an attractive church service throughout the church year with traditional and modern music and style for young and old, establishing Thomaskirche as a place to meet. Noah's Ark Kindergarten has been around for over 40 years. Nestled in the leafy, green property of the church our facilities cater for two groups of maximum 16 children in the age group of 2-3 years and a group of 20 children in the age group of 4-5 years. Each group is supervised by a qualified bilingual teacher and supported by an assistant. The space is big enough for the children to play outside during playtime with a large lawn and a safe and fun playground on the property. We are a Christian Kindergarten and operate under the auspices of the German Luthern Church Northrand and are represented by the Pastor and the Church Council. Enrich children's lives with creative teaching based on Christian principles. We teach Christian values by means of songs, games, prayers and celebrations. Preparing the children for Grade R irrespective of which school they choose to attend. • The minimum age for acceptance into the Kindergarten is two years. • Completion of an application form, a non-refundable application fee of R750 and a refundable deposit of one month's fee is required. The monthly cost per child is R5040.